Katherine Tegen Books, 9780062398901, 336pp. Brittany Cavallaro is a poet, fiction writer, and old-school Sherlockian. 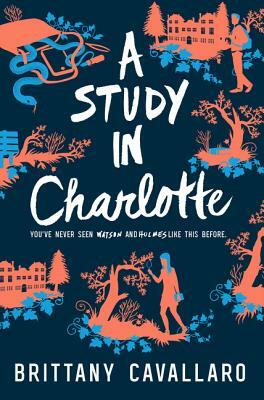 She is the author of the Charlotte Holmes novels as well as the poetry collection Girl-King and is the recipient of a National Endowment for the Arts fellowship. She earned her BA in literature from Middlebury College and her MFA in poetry from the University of Wisconsin-Madison. Currently, she’s a PhD candidate in English literature at the University of Wisconsin-Milwaukee. She lives in Michigan with her husband, cat, and collection of deerstalker caps. Find her at her website, www.brittanycavallaro.com, or on Twitter @skippingstones.